Looking for a USED DK7732? 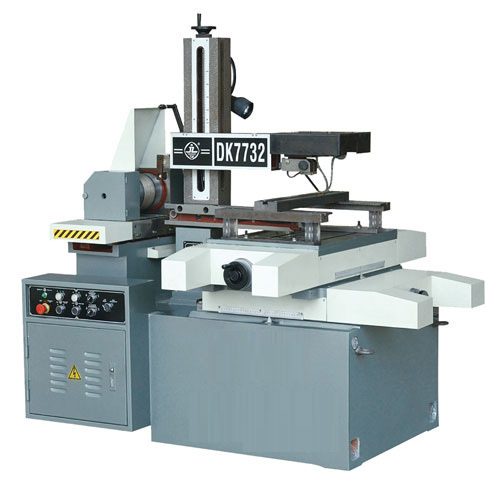 We are one of leading machine tool companies from China and represent dozens of pre-qualified leading machine tool builders and tooling manufacturers that have good reputation and produce high quality products. We have built solid connections with these manufacturers, so our clients can avail themselves of these connections to share the benefit of low cost and high quality of Chinese manufacturing. In 1997 we visited Buenos Aires, Argentina and met our client there. We worked together to sell machine tools since then, and the cooperation has been lasting without stop. We commit to long term support and partnership, and we highly value and enjoy the long term relationship. Now Dalian ZT Machinery serves worldwide clients from Argentina to Mexico, UK, Turkey, Qatar, Vietnam, and so on. Our goal is 100% customer satisfaction and 100% of the time. All machines recommended are of good reputation already proven in the market. All machines ready for shipping are double checked by our Pre-Delivery Inspection Program to assure the quality. Our customer service is in a timely manner no matter how far your location from us. We sell various machine tools, metal cutting and metal forming, universal type and dedicated type, and plastic molding machines. We also design, develop and supply dedicated tooling and components for related machines. Sincerely we hope to use our good faith to earn your trust and expect to become your single source for high quality machine tools and tooling. You are warmly welcome to contact us, thus to start a long term relationship at an early date. 502 ModelsView more about DALIAN ZT MACHINERY CO., LTD. Looking to Purchase a New DALIAN ZHENTEC DK7732?